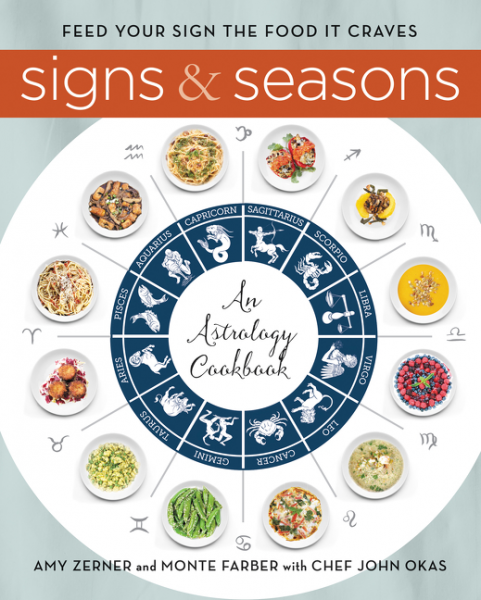 Review: Signs & Seasons: An Astrology Cookbook, by Amy Zerner and Monte Farber with Chef John Okas by Melissa Bartell is licensed under a Creative Commons Attribution-NonCommercial-ShareAlike 4.0 International License. This sounds like such a fun take on cooking – it is definitely not an approach I’ve ever seen before! I’m glad that you enjoyed the recipes and the book as a whole. Thanks for being a part of the tour! I’m going to be reviewing this week…going to try the coconut peach crisp tonight. The frittata caprese was one of the recipes I want to make. I can not take it in my house I’ve eaten in beautiful Indian food in every flavor. But it is not possible to give up if I really wish I could try it all.